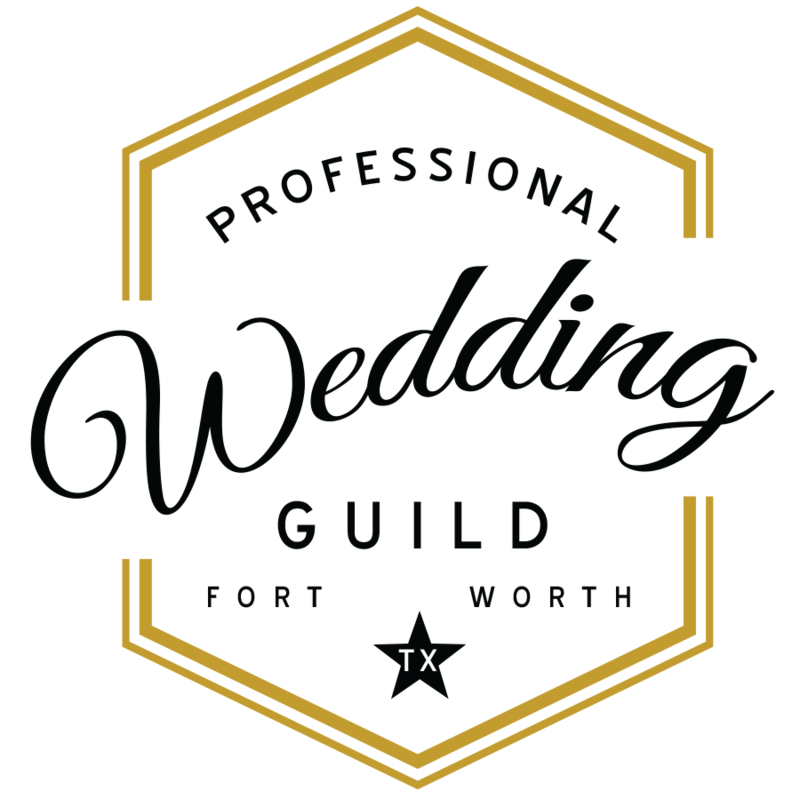 The Professional Wedding Guild of Fort Worth is an organization of event professionals committed to a higher level of excellence, service, and quality. Our mission is to form a solid network of wedding service professionals who can promote one another to couples planning weddings in the Fort Worth Area. The Professional Wedding Guild is dedicated to the promotion of professionalism in the wedding industry and the building of knowledge of its member’s businesses through networking at monthly luncheons and organized events. MEETINGS: The bi-monthly luncheons are scheduled on or around the last Wednesday of every odd-numbered month (January, March, etc.) and are open to all active members as well as guests. Meeting start with open networking at 11:30am. Lunch will be served at every meeting, followed by an educational speaker, guest profile, or other scheduled event. There are also plenty of door prizes! The event is over at 1:30pm, but you are welcome to stay and continue to network. Each luncheon is $60 for guests but only $35 for members and must be paid prior to the luncheon. Late registrations for members and guests is $65. COCKTAIL PARTIES: Our bi-monthly Cocktail Parties take place every even-numbered month (February, April, etc.) The free Cocktail Parties are more casual than the luncheons and allow for more intimate networking and relationship-building amongst the members. Signature drinks and appetizers of some kind are typically provided at Cocktail Party events. WEBSITE LISTING: All members of the Professional Wedding Guild of Fort Worth will receive a listing on this website with hotlinks, a customizable description, and one photo. Member listings are searchable by industry and provide a great resource to newly engaged couples. We encourage members to upload a personal photo and description of their company as well. Membership into the guild requires a vote of the board and should not take longer than two weeks once your application is submitted. Membership is $100.00 per calendar year for individuals, $175 per calendar year for teams of up to 3, with a required $50.00 membership setup fee for new members.